Canonical, Ubuntu Linux creator is making a lot of npise with its Ubuntu system and has closed yet another important partnership, this time with Ericsson, which is a giant telecommunications company. Some of you might think that it's that company that used to make phones, but in fact it's a company that provides crucial communication services across the globe. NFV and OpenStack expertise are at the core of the deal. Canonical, the company behind Ubuntu, announced a three year partnership with Ericsson - NASDAQ:ERIC- - a world leader in communications technology and services, to drive innovation around IT cloud and telecom cloud solutions, the latter in line with OPNFV. The move will help both organizations respond to increasing demand from telecoms companies and enterprises for more flexible, scalable options to meet the ever-growing appetite for new services. The deal revolves around OPNFV (NFV/VNF) and IT cloud. NFV stands for Network Function Virtualization and OPNFV - Open Platfom to accelerate NFC, is a platform that is an ideal deployment platform for NFV workloads. To put things into perspective, Ericsson networks bear 40% of the world's mobile traffic and connect more than 2.5 billion subscribers globally, which is a quite lot. 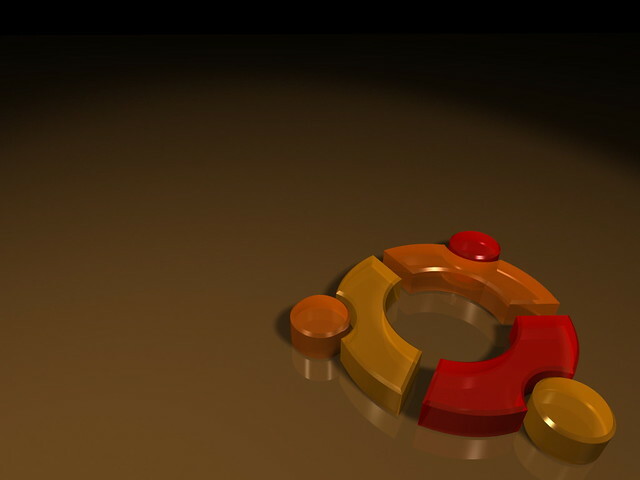 This makes the deal with Canonical a very important one, especially for the developers of the Ubuntu system. "Under the terms of the partnership, Ericsson will deploy Ubuntu as the host OS for Ericsson's Cloud System platform. Ubuntu Server OS will underpin Ericsson's offering for its telecommunications network"
Under the terms of the partnership, Ericsson will deploy Ubuntu as the host OS for Ericsson's Cloud System platform. Ubuntu Server OS will underpin Ericsson's offering for its telecommunications network, internal data center and cloud computing customers; giving customers the choice and flexibility they've been waiting for, and assisting the global adoption of OpenStack-based cloud technologies. The move will help both organizations respond to increasing demand from telecoms companies and enterprises for more flexible, scalable options to meet the ever-growing appetite for new services. "Cloud Platforms for the network have to be secure, resilient, robust and high performing. Partnering with Canonical for carrier-grade operating systems provides an opportunity for innovation to meet stringent telecom requirements in these areas." "We do not report on financial value of partnerships that include engineering and go-to-market collaboration," John Zannos, vice president of Alliance Partners at Canonical, told eWEEK. "However, I will say that we expect the revenue associated with this partnership to be material to both companies over the next three years." Linux has a long history in the telco space with the Carrier Grade Linux (CGL) effort. Ubuntu Linux, however, is not a CGL-certified distribution, although, in Ericsson's view, while the requirement to run telecom-specific Linux distributions was great several years ago, it has been diminishing year by year. Large amounts of telco-specific kernel functionality are now supported in Ubuntu. Ericsson isn't Canonical's only effort in the carrier space. Canonical is also working with networking vendor Juniper on an NFV cloud platform, based on OpenStack and the Contrail SDN controller. Juniper Networks and Ubuntu specialist Canonical have announced the two companies plan to jointly develop network virtualisation tools based on the open source cloud platform OpenStack. The two companies will collaborate and coordinate product development, engineering, marketing and upstream contributions to continue to expand the OpenStack ecosystem for service providers to deliver cloud and NFV solutions. As part of the deal Juniper will also provide service support for Canonical's Ubuntu Server operating system and Ubuntu OpenStack as part of Juniper Networks' Contrail Cloud for converged and virtualised infrastructure. OpenStack's networking capabilities are fairly important for large telcos, where big incumbents like HP and Ericsson have aimed their OpenStack tools as of late. And lately PayPal payment processing giant announced it is droping VMware and will run it's cloud on OpenStack. It was back in 2010 when Rackspace, the company famous for hosting lots of websites, got together with NASA, the agency famous for pretending to send astronauts to the moon. Together, NASA and Rackspace went on to create a kind of online fantasy world, where storage, resources and performance would be no object, and small startups could build their ivory towers in the clouds, knowing that when their day came, they'd be able to scale everything up, quickly and efficiently. OpenStack makes all this possible because it's open source, and so works like Linux itself. In fact, some people refer to it as the Linux of cloud computing. Canonical Ltd. is a UK-based privately held computer software company founded (and funded) by South African entrepreneur Mark Shuttleworth to market commercial support and related services for Ubuntu and related projects. Canonical employs staff in more than 30 countries and maintains offices in London, Boston, Taipei, Montreal, Shanghai, SÃ£o Paulo and the Isle of Man. Canonical operations earned $65.7 million in revenue during fiscal year 2013, a significant boost over 2012 revenue of $56.8 million. However, the company was in investment mode as it attempted to expand beyond desktops and servers to the mobile market. Its losses rose to $21.3 million in fiscal 2013. Note: Gartner market share report (June 2014) ranks Ericsson number one in worldwide communications service provider operational technology revenues. Ericsson is a Swedish multinational provider of communications technology and services. The company's offerings comprise services, software and infrastructure in information and communications technology for telecom operators and other industries, including traditional telecommunications as well as Internet Protocol (IP) networking equipment, mobile and fixed broadband, operations and business support solutions, cable TV, IPTV, video systems, and an extensive services operation. Its headquarters are in Stockholm, Sweden. Net sales in 2013 were USD 34.9 billion. With more than 110,000 professionals and customers in 180 countries, Ericsson combine global scale with technology and services leadership. Ericsson support networks that connect more than 2.5 billion subscribers.